The University of Hertfordshire was shortlisted for two awards in the SHP IOSH Awards 2013; ‘Best Health and Safety Achievement in Public Services’ and ‘Campaign of the Year’. The University won the Campaign of the Year award which recognises achievement by the Hertfordshire Sports Village in connection with Uno Buses. Together they developed the ‘Uno Buses get into gear and get fit Campaign’ which focused on changing behaviours by specifically targeting staff that are struggling to make lifestyle changes and would benefit the most by the proactive intervention. The winners were announced at The SHP IOSH Awards, the UK's premier cross-industry event, on Thursday 24 October at the London Hilton, Park Lane. These awards aim to celebrate the achievements and initiatives of health and safety practitioners and organisations nationally. Monica Kanwar, Director of Occupational Health and Safety at University of Hertfordshire told USHA “we were thrilled and very excited to be shortlisted for two awards. On winning the Campaign of the Year the comments from the judges were high praise indeed and we are very proud of all those that took part. This recognises the tremendous work undertaken by the whole team and our passionate commitment to safety and wellbeing”. L - R Host Jeremy Vine, Sponsor RCC Training, Darren Richmond - Fleet Engineer Uno, Rhian Crawford - Sports Project Officer for Herts Sport Partnership, Monica Kanwar - Director of Occupational Health & Safety, Kevin Goodenough - Uno Senior Duty Manager and IOSH Presenter Nick Warburton. We are a specialist UK-based supplier of evacuation equipment, moving and handling devices and mobility aids. When you invest in new equipment and products you want to be sure that you are buying the product that is right for you. At Spectrum Healthcare we work closely with moving & handling and healthcare professionals, healthcare organisations, schools and universities to make sure we understand and can respond to the needs of our customers. For more information, visit www.spectrumhealthcare.co.uk. If you would like see any of our evacuation equipment please do not hesitate and contact Spectrum Healthcare (UK) Ltd who will be pleased to arrange demo of the equipment. 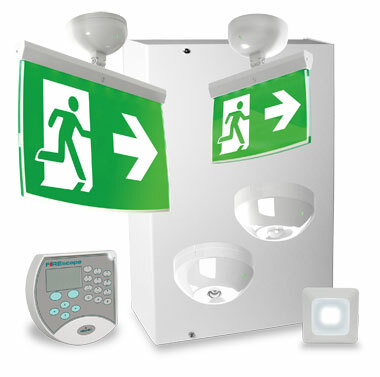 Cerberus Pro from Siemens provides innovative fire safety and emergency evacuation systems, delivered through our Solution Partners. We are known as a market leader in fire protection, and were the first manufacturer to offer automatic smoke detectors. Our products are backed by over 160 years experience and know-how, ensuring the most reliable detection of real fires and with the highest immunity to false alarms. Cerberus PRO offers its clients True Open Protocol allowing easy connection and integration of the system with 3rd party systems using industry standard communications protocols via BACnet, OPC and ModBus. Cerberus PRO also offers the end client a choice of service providers from our partners that have invested in training on the product and its unique advantages, therefore enabling the end customer to make an informed decision about the competence of the individuals and organisations employed to look after their life safety system. Cerberus PRO virtually eliminates false alarms yet offers the earliest reliable smoke detection with ASAtechnology™ (Advanced Signal Analysis). It is able to distinguish between real fires and deceptive phenomena (e.g. cigarette smoke, steam, aerosols, exhaust fumes, dry ice, dust….even burnt toast) providing reliable, fast detection and ensuring no possibility of false alarms. Constant exhaust volume irrespective of cabinet being ON, OFF or undergoing fumigation, which greatly assists stability of negative pressure air regimes within the containment facility. The ability to handle additional room air extract volume, simplifying overall air handling design and possibly alleviating the need to install additional room exhaust facilities. Bypass air can be extracted via a simple grille for containment level II facilities or via a room HEPA filter for containment level III applications. Emergency recirculation functions via a double HEPA exhaust filter in the event of remote fan failure, allowing the safe conclusion of work, under containment. 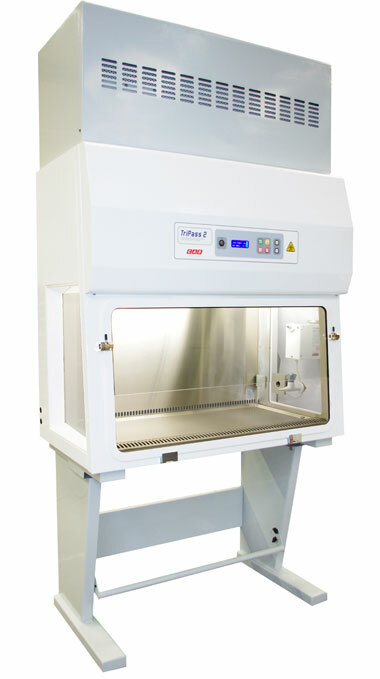 The new TriMAT system is available on the latest generation of CAS Class I and Class II Microbiological Safety Cabinets, providing designers of containment facilities simpler and more cost effective solutions and laboratory users improved functionality and operational safety as standard. How great would it be to simply wave your magic wand and have a proactive safety culture within your establishment? The reality is with any organisation that serves the public; you may well be seconds away from your next incident. And as we all know too well, that incident could be very costly. It’s often said that there is no ‘silver bullet’ to solve the conundrum of becoming proactive within health & safety. Adding the restrictions of resource, budget and existing management culture, it becomes an even rockier road. Rivo has been instrumental in helping organisations in both the public and private sectors shift from the reactive to the proactive. Safeguard is a truly effective management suite of tools to provide much-needed control and visibility around all aspects of health & safety, as well as incorporating environmental, quality and security. This isn’t just about great user-friendly software though; it’s our experience in implementing complex solutions that exactly meet requirements that helps our clients achieve and surpass their compliance goals. Our clients have found that the trick is to start in one place. Where is the most urgent need? Reducing the admin nightmare? Escalation of non-conformances? Regulatory restrictions? Start where it keeps you awake at night the most. Proving the concept by proving the value gives you a compelling argument when going to the senior management for budget. Since 2008, The University of Leeds have been embarking on this steady journey. They have recognised that to ultimately control all risk, they need to get it right each step of the way. Initially, they implemented Rivo’s user-friendly functionality around Risk Assessments and soon realised that the same value could be extended into other areas. They are now implementing Safeguard in areas such as COSHH and Manual Handling. You feel like you’ve done all you can to reduce your site’s operational overheads and you seem to be working more efficiently, but still you find yourself way off budget. So where do you look next? Cutting back on the cost of life safety equipment is never an option, but being smarter over the choice of technology could be the obvious one. Given its vital role in protecting people and property, it is amazing just how many of us fail to give the selection of life safety equipment the consideration it deserves. This is particularly apparent when it comes to purchasing a fire detection system or an emergency lighting system, with a misguided focus on initial price rather than the long-term costs associated with it. Fire Detection can be daunting for the uninitiated, deciphering the technical jargon may prove bewildering so it is somewhat understandable for those with squeezed budgets to initially assess the market by cost alone. However poor product selection, misguided installation and poor system maintenance could lead to unexpected costs. Ensuring that you select a high quality, reliable system with advanced technology to reduce false alarms will save you money in the long run. 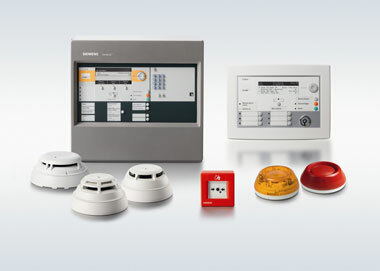 The HFP System from Hochiki Europe offers complete solutions for all of your fire detection requirements. Hochiki’s high quality products ensure long term reliability, virtual elimination of false alarms, assured compliance to standards and a reduced total cost of ownership. Emergency Lighting presents a similar challenge, but by switching to a self-testing, energy efficient emergency lighting system, you could save thousands! Over the course of ten years a traditional manually tested, fluorescent lighting system could cost you in excess of £120,000 in labour costs and will see you receiving a much higher energy bill than a system using LED-based luminaires and exit signage. Hochiki’s FIREscape is an intelligent, low-voltage, LED Emergency lighting system that is simple to install and requires little maintenance. Furthermore, calculations made by the VTT Technical Research Centre of Finland show that FIREscape could save you up to £186,534 and 26 tonnes of C02e emissions over 10 years, when compared to a manual test system. There is still a lot of uncertainty about what we need to do to control exposure to laboratory animal allergen (LAA) following the recent update of the HSE guidance. There has been much discussion about FFP2 vs FFP3 masks and also enforcement action here at UCL following a report of occupational asthma. Following a proposal developed by UCL and Manchester, USHA has agreed to set up a new project group with the aim of developing practical guidance to assist in selection of the most appropriate measures to control exposure to LAA. The group will be chaired by Jillian Deans from UCL. The Institute of Safety in Technology and Research (ISTR) has already agreed to be a partner and we hope to include representatives from the Laboratory Animal Science Association (LASA), the pharmaceutical sector as well as the regulators. The guidance would supplement, not repeat or replace the HSE guidance and take the form (mainly) of case studies and good practice approaches. We hope to launch the guidance at an event towards the end of 2014/beginning of 2015. The declared aim of the USHA Fire Group is to improve fire safety throughout the HE sector and this year it has members involved with 3 government sponsored committees setting legal standards, B.S.s etc. and has addressed 4 major national conferences. It is working towards becoming the first public sector organisation to certify and register competency of fire safety advisors/officers. The Minister for fire has stated that he supports us in this move. It is identifying the competencies required to develop training to be delivered via the USHA Training Group. This should ultimately deliver very cost effective consistent standards. Fire is perhaps the biggest risk to our institutions. Even with good insurance cover many costs are not recovered, reputational loss is considerable and business continuity is severely impacted. Enforcement activity and prosecution are far more likely than for most other issues. Everyone in the Fire Service is an enforcement officer and checks are carried out at all incidents and in regular audits (usually annual). Advisory and enforcement notices do not always take full account of the circumstances and can result in very considerable unnecessary cost. Challenging them requires expertise often not available in our institutions. Prosecution, although a last resort, is much more problematic. There is an assumption of guilt and the only defence is due diligence. Legal expertise outside of the Fire Service is in very short supply and they have an over 95% success rate! Its relationship with CFOA should deliver endorsement of the USHA Fire Guidance, lead to a better understanding of relevant HE sector issues and reduce the likelihood of legal action. Chair of the Fire Specialist Group John Crust speaking at the USHA Autumn Seminar told delegates “Building design frequently fails to deliver the best solutions in relation to fire. Simple compliance with Building Regulations, which are generic and often prescriptive, is very unlikely to be sufficient. The fire safety legislation encourages creative solutions relative to the actual use and management of buildings but is rarely well understood by building designers. “In theory, theory and practice are the same. In practice, they are not!” Albert Einstein. Building designers, even using highly qualified fire engineers, cannot deliver the most suitable designs unless they are fully aware of the fire related challenges present; exactly the same applies to Fire Risk Assessors and ‘Competent Persons’. This is very unlikely unless they are in-house or very well advised. Resolution of issues at a late stage is a difficult process often resulting in conflict, delays, less than ideal compromise and additional expense. At best the result is likely to be unnecessary future managerial burden. At worst, unacceptable risk to building users leaving the Institution vulnerable to enforcement activity or prosecution of the institution and key individuals. This should be throughout the design and build process from concept to completion and at each RIBA Report stage. The aim should be to achieve a design which allows the Competent Person to ensure that the requirements of the Regulatory Reform (Fire Safety) Order will be met as well as compliance with the Building Regulations such that the Fire Risk Assessment will be complete at handover. Further, that the Fire Authority, Building Control Officer, Principal Contractor and other relevant persons are consulted on a regular basis throughout, in an open and transparent manner. We believe these are key to achieving good cost effective fire safety standards compliant with all relevant legislation and avoiding the requirement to address issues at a late stage. 2. Ensure the Supply of an extensive Fire Safety Manual. The Competent Person should be consulted on individual items of content during the design and build process such that the Manual will be compiled during it and only require minor ‘as built’ amendment at handover. These ensure that all necessary information is readily available rather than being lost in O&M manuals etc. Compilation during the process is necessary for completion of the Fire Risk Assessment before occupation. Although a legal requirement under the Building and CDM Regulations and BS9999 these as rare as hens teeth! Please ensure that all contracts require supply. Facilitate high standards, best value and sustainability in terms of fire related design features. Align the requirements of the Building Regulations, the Fire Safety Legislation, the Institution and their insurers. Provide an indication of non-prescriptive preferred solutions and appropriate standards and detail prescriptive requirements where necessary. They should apply to all new builds, changes of use and major refurbishments including property to be leased. Content may also be useful to advise design in minor works. We have a working group busy finalising an example document. It is intended to be adaptable to cover local circumstances and building practices anywhere in the UK. It is not intended as a ‘sector directional document’ or for benchmarking purposes. We have drawn on members to identify the issues for inclusion and provided example solutions in line with Fire Group discussions and guidance. We have consulted many industry experts and are expecting the final copy to be endorsed by other leading organisations including CFOA. We particularly invite input from AUDE and hope that you will endorse the final copy. Copies of the latest draft are freely available on request. People waiting in corridors for class changes etc. Considerable numbers of peripatetic staff, many part time or temporary. 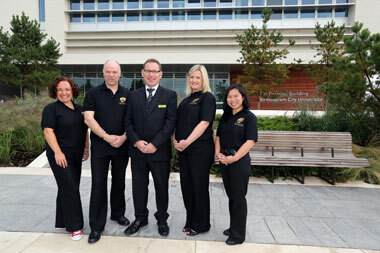 Staff and students using buildings or areas where they are not normally based. Most forms of disability including temporary issues such as broken legs etc. Young , old and infirm people. People incapacitated by alcohol or drugs. People with no experience of fire alarm systems. Increasing use of headphones, even when sleeping, resulting in not hearing fire alarm sounders. Flammable materials and obstructions in escape routes. Abuse of fire safety equipment. Use of unauthorised high risk equipment. Large student bodies often working unsupervised. Contractors for facilities management, security, building works etc. not fully understanding arrangements. Designs based on a pick and mix of various fire safety standards. Insufficiently explained restrictions, particularly those resulting from ‘fire engineered’ solutions. Financial and managerial issues resulting in the need for minimal maintenance, testing and checking workload. Common changes of use and responsibility for areas. Designs not conforming to the most appropriate standard. Use for conference visitors and the public which requires different standards. Limited supervision and enforcement of fire safety rules. Extremely varied and unpredictable sleep, work and social behaviour patterns. Inexperienced people cooking with unfamiliar equipment (cause of >90% of fires in the sector). Extensive and often inappropriate use of electrical equipment commonly including items which do not conform to British Standards. False fire alarms; mainly due to cooking with the kitchen door open, steam from showers and use of aerosols near detectors. Dual means of escape with slopes rather than steps and maximum travel distances to recommended disabled person limits wherever practical. Avoid the requirement for assisted evacuation where practical: Horizontal escape routes into separate compartments and self operated lifts to evacuation standard. Staged evacuation with manageable zones and associated compartmentation. All electrical door closers, locks and hold opens to fail safe in the event of a power failure. Maximum utilisation of mains powered magnetic hold open devices and free swing door closers; all closers set to within the recommended limit of opening pressure. Third party accreditation of all passive fire protection. Serious consideration of sprinkler, water mist and other suppression systems, particularly in high risk areas. Automated cooking fume extraction sufficient to prevent operation of corridor smoke detection. Mains powered tamper proof open door alarms on kitchen doors (have proven extremely effective at reducing false alarms from cooking). Cooker cut off devices to prevent cooking being left unattended. Sufficient electrical sockets to negate the need for multi point adaptors on sensitive RCD devices. L1 detection with sounder beacons including at all bed heads. Bedroom detectors sited such as to reduce likelihood of triggering by aerosols, shower steam etc. Voice fire alarm systems. The University of Hertfordshire has been shortlisted for two awards in the SHP IOSH Awards 2013. These awards aim to celebrate the achievements and initiatives of health and safety practitioners and organisations nationally. The second award shortlist is for Campaign of the Year which recognises achievement by the Hertfordshire Sports Village in connection with Uno Buses. Together they developed the ‘Uno Buses get into gear and get fit Campaign’ which focused on changing behaviours by specifically targeting staff that are struggling to make lifestyle changes and would benefit the most by the proactive intervention. 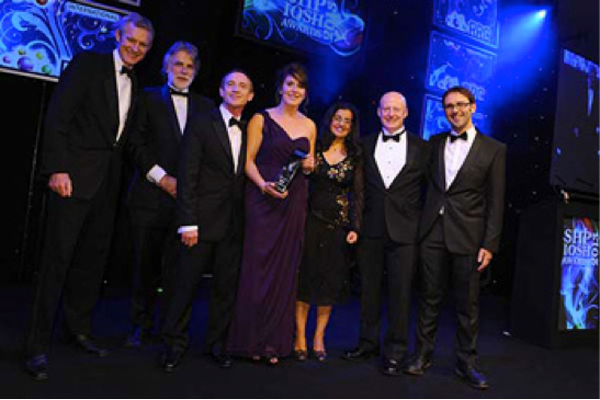 The winners will be announced at the awards due to take place on Thursday 24 October at London Hilton Park Lane. Monica Kanwar, Director of Occupational Health and Safety at University of Hertfordshire told USHA “we’re thrilled and very excited to be shortlisted. This recognises the tremendous work undertaken by the whole team and our passionate commitment to safety and wellbeing”. Don Cross, Health and Safety Advisor, at Canterbury Christchurch, who has taken early retirement. Birmingham City University Health and Safety Manager and USHA Executive Board Member, Scott Trim, says “throughout the day a consistent message was given by all of the speakers that designers, building users, fire safety advisors and health and safety teams need to engage in early consultation if new builds and project refurbishments are to result in buildings which are fit for purpose and compliant for all. I know from talking to many of the delegates that this is a challenge facing many of us with the Health, Safety and Fire professions”. 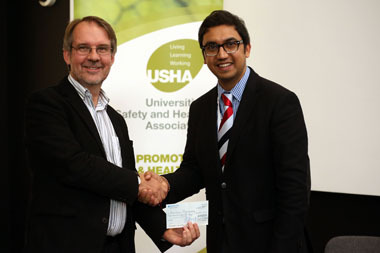 USHA has presented a cheque to the Student Hardship Fund at Birmingham City University at the end of our Autumn Seminar staged at the Universities brand new multi million pound development ‘Parkside Building’. The seminar, supported by AUDE, focused on the safety aspects of building design and was attended by over a hundred delegates. Birmingham City University Health and Safety Manager and USHA Executive Board Member Scott Trim says “throughout the day a consistent message was given by all of the speakers that designers, building users, fire safety advisors and health and safety teams need to engage in early consultation if new builds and project refurbishments are to result in buildings which are fit for purpose and compliant for all. I know from talking to many of the delegates that this is a challenge facing many of us with the Health, Safety and Fire professions”. Every 2 years a development strategy meeting takes place to review the work and activity of USHA and its future objectives. The meeting is attended by the Executive Board, your regional coordinators and the Chairs of the Specialist and Project Groups. Easy to navigate website - 3 reviews have been undertaken to reduce technical jargon, delete spam Hotmail accounts and make it mobile friendly. On 28th November 2013 the Strategic Planning Group will meet in Birmingham to set the future priorities for the Association. You can influence the outcome by giving your ideas and proposals to your regional coordinator or an Executive Board member.